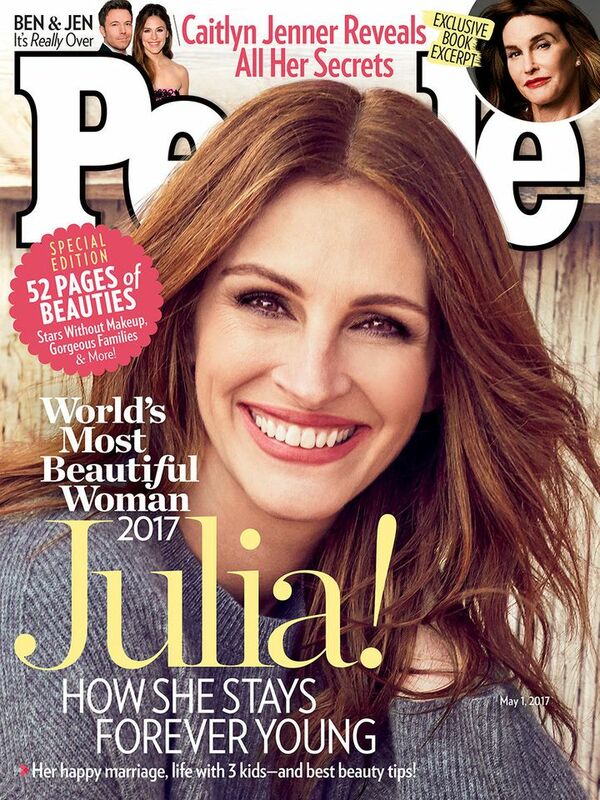 On Wednesday, People magazine announced its pick for Worlds Most Beautiful Woman of 2017 and ― drumroll please ― its Julia Roberts, whos now earned the title a record five times. "When it came time to choose a cover for the 2017 Worlds Most Beautiful issue, it seemed that the time was right for Julia Roberts. 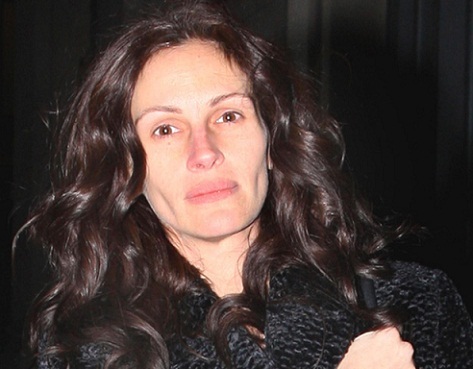 At 49, Julia has never looked better. Her beauty also lies in her self-assurance and smarts and good humor. It lies in her ability to evolve while retaining the best parts of herself. It lies in her talent for creating characters and telling stories that take us to new places. And it lies in her family-first ethos: Despite all the delights, distractions and temptations of an impossibly privileged existence, nothing ignites her famous smile more than game nights with her kids." Katie Couric’s run eventually ended, and so will Julia’s. I can’t understand how this small group of favored insiders tend to get permanently wired in. Group think and herd instinct, I guess. Last time I saw a mouth like that it had a hook in it. In other words, she has a new movie out and her publicists greased the right palms. 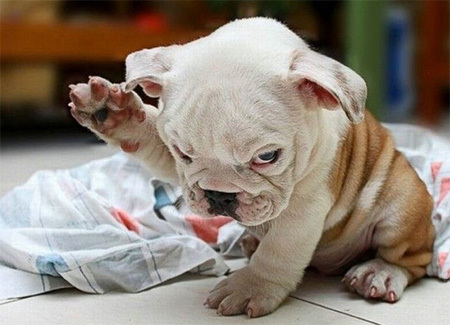 We cant help but think of a slew of other stars who could have earned the title for the first time, let alone a fifth. I guess only stars are beautiful. It’s all about how big, volumous and expansive her mouth is. She does nothing for me. If I saw her in a public place I wouldn’t give her a second glance. Not ugly, just not beautiful. And too many teeth showing when she smiles. I don’t need to see where her wisdom teeth used to be, thanks. The chick that taught a generation that turning tricks can be fun and profitable. My guess is this is exactly the case. What is up with those 2 front teeth? They look like they are glued to her teeth? I wonder how much her agent had to pay People? She is not looking good these days w/o airbrushing her pics. OMG!! She could swallow a watermelon whole with that mouth! BUMP for NEW MONTHLY DONOR #2! F--- you, Julia. You insulted half your fan base.